Mordet på en ung, kvindelig universitetsprofessor lammer lokalsamfundet i Grant County. Det er retsmediciner Sara Linton, som finder liget på et toilet på den lokale café. Inden kvinden blev myrdet, er hun blevet brutalt voldtaget og lemlæstet. Sara Linton har aldrig set noget værre, men hendes chok bliver ikke mindre, da hun genkender kvinden som Sibyl Adams; tvillingesøster til hendes eksmands mest betroede medarbejder. Saras eksmand er Jeffrey Tolliver, byens politimester. She was 14 when she watched mother die. With her mother gone, her father told her she had to be the woman of the house. And then he went away for six months. Now she's got a surprise for him. 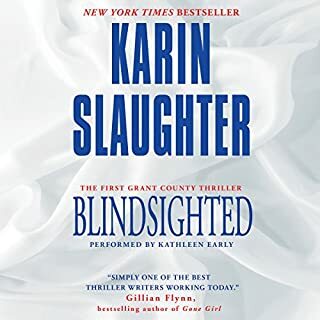 This is the third pulse-pounding novel in the Grant County series from New York Times best-selling author Karin Slaughter. Sara Linton, medical examiner in the small town of Heartsdale, Georgia, is called out to an apparent suicide on the local college campus. The mutilated body provides little in the way of clues, and the college authorities are eager to avoid a scandal, but for Sara and police chief Jeffrey Tolliver, things don't add up. Two more suspicious suicides follow, and a young woman is brutally attacked. For Sara, the violence strikes far too close to home. And as Jeffrey pursues the sadistic killer, he discovers that ex-police detective Lena Adams, now a security guard on campus, may be in possession of crucial information. But, bruised and angered by her expulsion from the force, Lena seems to be barely capable of protecting herself, let alone saving the next victim. 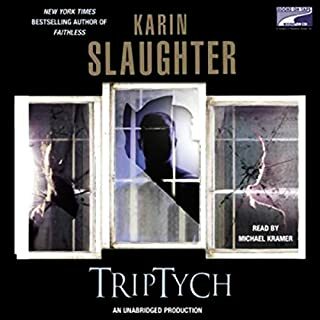 ©2003 Karin Slaughter (P)2003 HarperCollins Publishers, Inc.
Would you try another book from Karin Slaughter and/or Dana Ivey? 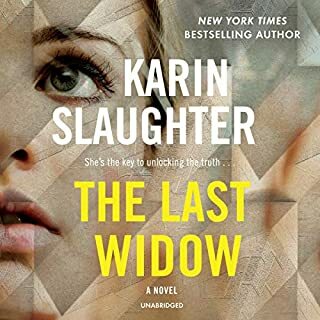 I have listened to many other Karen Slaughter books, read by Kathleen Early, and would listen to those in a heartbeat. I was disappointed to hear a different voice on this book. Probably will not listen to another one now, as the voice does not fit the story and is therefor distracting. I do not think Dana Ivey's voice is a good fit for the Karen Slaughter books. I loved the way Kathleen Early voiced the Karen Slaughter stories-the voices and accents were good, and her voice was crisp and youthful in a way that you could tell she was around the same age as the characters she was portraying. This is very important when you're trying to get into a story on audio. 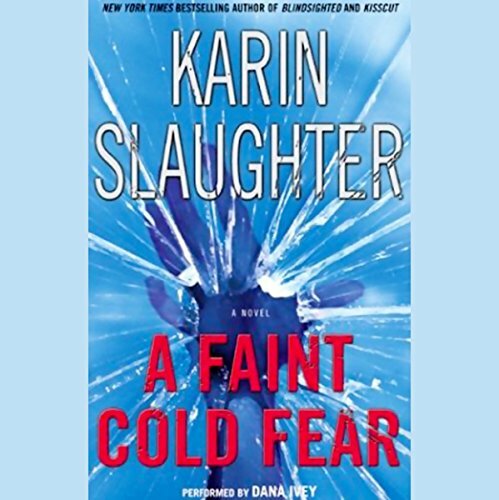 As soon as this book began, and I heard Dana's voice, I was immediately disappointed, and actually find myself not listening to this one as often as I would listen to the other Slaughter books being narrarated by Early. 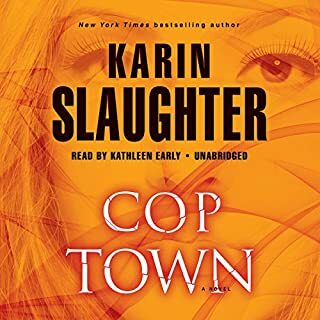 I will probably not listen to any more of Karen Slaughter books if they are voiced by Dana. 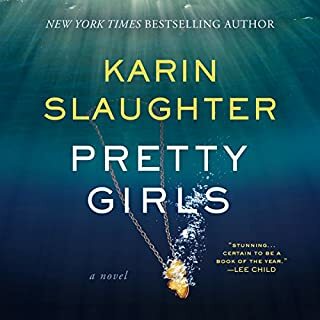 The beauty of Karen Slaughter books is that that they are a guilty pleasure read, filled with drama, passion, drugs and crime. The last thing you want to envision is your grandmother reading these stories to you, which is the way I feel when Dana is narrating. I found it disappointing. Didn't like the narration in particular. I found I didn't connect with the characters. Not recommended at all. Choppy between chapters. The beginning and end were missing. Also the audio was fuzzy. The Male characters were also not as good as could be. I tried very hard to keep up with the plot but it was impossible to do so. Half the time I wasn’t sure who was speaking. I had to keep going back on the book. I also didn’t like the reader trying to speak with a southern accent. I was very fake. 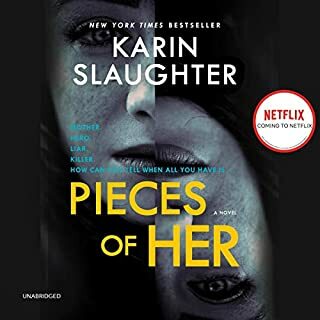 I love Karen slaughters books but this voice and narration was extremely poor and irritating. Was A Faint Cold Fear worth the listening time? large problem with the second suicide victim, as the author confused rifle/shotgun bullet/shell. 20 and 12 gauges are shotguns, not rifles. Shotguns discharge shells loaded with shot. Rifles discharge bullets. made the rest of the story hard to listen to as I was constantly looking/listening for other gaffes. Have enjoyed the series. The narrator is easy to listen to. Overall it was enjoyable. I love the characters in this series but the abridged version is so chopped up I'm afraid I missed half the story. Will def be reading it as the story is excellent. My third attempt at giving this author a fair chance, it will be my last. Started the books from the beginning, only hoping the writing would get better. It doesn't. This one was very frustrating. The storyline for Lena was ridiculous and the narrater is absolutely one of the worst I've listened to. Not worth the money or the time. Third strike you're out! really good twisty storyline... enjoyed the reader has a lovely variable voice ... but haye the music ... good books dont need that.